And the handout (in pdf format) explaining the basics of the Flat Classroom and Horizon Projects in a comparison grid. If you want to know what we did, this is your handout. NECC Live Webcasts -- Julie and I are on this show which will be published at some point on this page, meanwhile, one webcast is already up. Official NECC Podcasts - Adam Frey and I spent some time talking about Wikis but there are some other great podcasts that are already available here. Ours will be posted here as well. It was a great conference and I have to post at least 4 more sessions that were in my notes (b/c no laptop plug was available) -- but that will have to be later. Meanwhile, if I see a bit distant, I am tired, but also my grandmother is not doing well and expected to die at any moment, I have to be with my family. I treasure the experience as NECC as truly a highlight of my educational career. The blogosphere is full of great people with a variety of perspectives but who really care about kids... and that is what we are about...shaping student lives. So many ask me, "what's next" and indeed many work hard to "score" so they can get out of the classroom. I am called to the classroom, I love to teach and indeed any move away from the classroom would be a demotion for me. I love to teach! 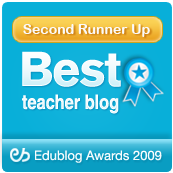 Thank you all for being such a great part of my NECC experience, whether you are a reader, commenter, or edublogger. I am packing, tweaking my presentations for tomorrow at noon and 1:30, IMing with John Pederson and figuring out how I'm going to check out at 7 and be at a breakfast meeting at 7. Wifi was nonexistent in the morning keynote, but I took these notes and what to share them with you. It was phenomenal! 2007 Outstanding Leader -- Job is professional development -- to lead faculty and staff in technology -- she gets them there. Work with teachers in summer school -- live from Ancient greece -- podcasts as if they were recording from 1756 BC -- showcased if it was good enough -- they wanted to work and do it so much -- get kids so excited about that sort of project. Wrote scripts to start with -- but when they knew that they had an audience and that it was authentic they got very excited. ISTE has info need if you are trying to build the technology plan at your school. They are using the New NETS for students. These two women are amazing. Great idea --- lifelong learning - senior citizens come in and the students mentor them. Keynote - Futurist Andrew Zolli - Lead discussions about the emerging creative class and what they demand of schools - what they offer society. How education and cultivate creativity and innovation worldwide. If you put your e-mail in front of educators they will e-mail you during your presentation. Great images. Electronic bath duck -- funny. One use only. What it takes to unlock the creative potential that lies within all of us. Great group of people - educator on edge, analyst, creative director - new innovative ideas, artist and choreographer reinventing modern dance. Each one make a 2-3 minute thought starter for all of us. Who they are and what their backgrounds are. Dr. Francis Pedro - how countries do competitively around the world in the realm of education. 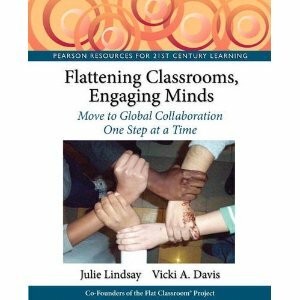 Onling research in relation to learning. Elizabeth Streb - choreographer -- won McCarthur genius award in 1997. Ongoing passion for science and physics only choreographer physicist in the world. Past 4 years -- what if a company like microsoft wanted to create the school of the future, what would it look like. Experts to help think about that question. Sept 2006 was the attempt, not an answer -- fundamentally questioning the norm. How can we create an environment that can have "artists of learning"
Really focus on the concept and power of language. The ways we can use language to create a creative environment -- are we modeling and doing that. The principal is called the chief learner not the principal. These are the three principles that guide the school of the future. The opportunity for creativity in the age of accountability. How can they exist together? Main questions asking the innovation potential for countries. Can we compare the innovation potential. Use of educational technology as a window of opportunity. Percentage of the same people who use the computer connected to the Internet while at high school -- Only just above 25% for kids who use computers at school frequently -- do not use educational technology at school is very low for 15 year olds. Every 3 years to study competities math, science -- found it is extremely important to have access to a computer. Green bars show the percentage of scores that people who have a computer at home have over those who do not have access to a computer. How much is associated with having a computer in the school. It is highly correlated -- 70 percentage points -- US -- you will see that we are in the top list -- in our case -- having a computer at school really pays a lot -- 70 points -- computer in high school pays a lot. If we compare -- math scores -- the more computers used in schools math doesn't mean they are getting better. Home use is highly correlated with math scored. Why? Seek out your cathedrals. You have the potential to have a very positive impact on the public. So, always think of that higher purpose. You can have a positive impact. It becomes much more important then. You are having a positive impact. Higher purpose. Intangiables that we have to sell and produce --have to have a deep faith in the concept in the technology and the team. Pay attention to what you notice and what you are interested in -- action and movement -- how make and put her life around movement. Humans could fly -- believed in an impossible silly thing -- how long do you have to stay in the air -- she could fly and that we could if we wanted to. -- Invented a place in New York called Slam -- Where to peple want to go to . Alchemy that allows them to go there. We find our place in the jumping joyous jumping of life. Ask seeminly unanswerable questions -- break the rules -- get two bodies to occupy the same space at the same time - name a move you are unilling to do -- move so fast you stand still. What is space what is time/ I'm going to fall up -- spend four days to figure out how to do that. Overhead view -- Cement blogs swinging over head. On some level it was a true story. Mary - create a place in which failure was an option -- kids and educators feel safe to fail -- that was one of the hardest things to create because all of the pressures we have for that word not to be uttered. 2nd element - the concept of ad hoc gathering places -- we need to create spaces -- God forbid kids gather -- we want to create places that kids can gather -- focused a lot in the building where kids can gather and socialize -- they are really not there for algebra -- they are there to be with one another. Elizabeth - physical place -- Question the difference between public and private - chose a space -- chose a big garage -- all great genres like chemistry explosions and rock roll invented -- people who do things who mess stuff up. Extreme movement gathers people together and has the potential for transformative change. Work at the same time -- circus people - flying trapese -- dancers -- 200 kids a week -- mix up in the most perfect thing you could imagine. Popcorn and cotton candy important. Michael - Applied arts can be a very dirty business, you have to get your hands dirty and fall down. Conference rooms aren't so creative -- garage is a wonderful metaphor for the creative process. To get people creative in business -- you can be anywhere and the flow state happens -- take people out, bring outsiders in, bring in a singer. Mix it up a little bit. I will take people up and bring new people in. Fall down, act stupid, make mistakes to get them comfortable -- eVERY DAY IS DIFFERENT. Elizabeth -- Allow complete sovereignty -- they can do whatever they want. When kids come together - scream and play as they want and then class begins. She doesn't have a petri dish like we have. Innovation in different sectors including education - health, science, biotech -- theory -- the theory of the four ? Our ability to include doers and users in the process of germinating innovation. We should enlarge our concept of users of educational innovation and include learners in that process. Modularity -- Being part of the system but acting autonomously. Technology - Something that is unique -- we miss the connection between educaitonal technology, science, and research. Teachers see themselves as artisans. What is the place we assign to research? Zotti -- Everyone is talking about risk and empowerment of the individual and courage. Mary - Challenge that they saw -- could you imagine our public schools if innovation was swimming downstream how much faster we could go. Except in our schools, these types of thinking we are constantly swimming upstream -- when you do you get very very tired. Create an environment where lessened some of the bureaucratic requirements but still do in a framework where others feel that they could do that too. Microsoft didn't give money but gave human capital and gave people. Trying to live within the constraints but push the edge. Michael - Big brands and big corporations thirsting for innovation -- if schools would adopt that mindset. Type of the project that -- F2F marketing -- new trend -- traditional ad spending goes down -- interface with the public. National tour with target stores -- rennovating their pharmacies -- health and wellness centers. Mile 20 -- Rocky Theme blaring from his car and finished the race -- a concert experience at mile 20 for every marathon runner at mile 20 in every country a long tunnel that blares motivational music -- the rocky theme that marathon runners run through-- most motivational experience staged it in LA -- 22,000 runners -- When staged it -- it became a heroes welcome -- most of all the paraplegics -- weren't prepared for it -- it was joyful -- Amazing -- targeting paraplegic runners -- he had no legs -- pumped is way through 26 miles on a skateboard. Everyone is spellbound - the most inspirational thing -- amazing inspiration -- Rocky Them -- amazing -- experiencing -- have a profound impact. You're not doing a promotion you are making a mark on someone's life. WE have that opportunity every single DAY -- So amazing -- put it everywhere in marathons. We think learning is mostly about educating our brains but it isn't -- a series of reports - invites us to read -- demystify some of the myths that we have. When do you start learning foreign languages. Should be elemetary education -- research that foreign languages as soon as possible. Need to start very young! As many languages as possible. The idea that some educational systems especially new ones people are seeing the need to separate girls from boys think that brains work differently. No evidence based on research on that -- we have to research a bit more if we are going to separate things -- that is not a difference in brain. Zotti - Cognitive neuroscience -- His graduate work in that. Phenomenal experiment that was done -- babies don't know where they are born and the myriad of languages that we speak have different structures and different sounds and not all languages - English b and p -- small differences -- Thai -- have 5 letters between b and p - microphones on babies -- babies cannot tell you that they can hear the differences. Exposed to new sounds their heart rates go up and they relax -- babies can hear the differences. Besides the time the research subjects 7 years lost 80% of the ability to hear the difference. And by 12 lost all of the difference. Decided to call this ability to respond the "hyper sensitive sucking reflex" - scientific data supports that children should hear it at a young age. Individuals are self critical and it is expected. How can I get better? Had time to think. Encouraged to think -- got their own office, had gathering spaces. Thinking and doing something were the same thing -- it is not that way in education. Elizabeth Asked -- were they private or open source offices? Mary Said - definitely not. Laughed hilariously and gave a high five. Mary - "bills office is just like mine except there was smarter stuff going on in it" -- they all have the same type of office. Michael - whole new Mind by Daniel Pink, Dream Society. Excellent. We're over at edtechtalk.com and in the chat room (click "chat") and to listen to it, click Listen to get the channels to listen. We will be streaming in just a moment. We are also streaming live into Second Life (for the first time ever) -- Eduisland II 68, 107, 22 -- you can listen live there -- so cool. Also some people from here in the lounge are going into the show as well. So cool. So, join us here, if you have questions, let us know -- we have a lot of really cool people here. Tonight if you'd like to be there in real life we will be in the Second Life Loungue on the 2nd level and when you come into the Georgia World Congress Center you must clearly specify that you are there for the Women of Web 2 podcast in Second Life. We will arrive around 8:30 pm and go live at 8:45 until 10 and will leave promptly at 10:05 -- no post show - just 15 minutes of pre show. If you are there, we may ask you to say "hi." If you cannot attend, you DO NOT WANT to miss this show -- come on over to edtechtalk.com early and meet all of these great people that we have met! Foundations aren't going to fund what you should already be doing (textbooks, computers). How can you frame your proposal to doing something different. Look at innovation in place and take it up a level. You're going to evaluate it when it is done. If there is technology in your grant that is hooked in the network -- what is the skin in the game you're providing - e-mail, filtering, space, tech support. staff, internet service, copying -- what things you are doing to show what you've got in the grant -- even though you're not paying that -- the school will contribute that. Bring out resources to show that you have that skin in the game. Tie your program to local needs. Talk about what the need is to the local community and how you will contribute to that. While funders don't see you -- all they will know you by is the words that you write. To me, it continues to astound me that I can get a million dollars and never meet someone but through my written voice but through the case that she makes, she can be awarded that funding based on how well she takes care of funding their RFP. How do reviewers look at grants. 1) Team Support within the school - It is tough to get a lot of money if it is one person doing one thing. But if you want to have upwards to 100,000 - you're going to need a team, impact more than one classroom -- who can help you do this. Need a team to bounce ideas off of. If you're going to use technology, you need to talk not about the technology -- it is not about the tools and the "stuff" anymore -- the conversation has turned, we're talking about improving student learning - frame your conversation about how these tools are going to help you improve student learning. "Don't even get started if you're not willing to draw the line between what you want to do and improving student learning, you can't even start. You have to make that connection to a funder." You can't get any money if you talk about "by the end of second grade students will be prepared for third grade" won't work. 2) Your intervention -- not in terms of needs -- your innovation, your sizzle, what is going to be different than with funding other projects. 3) Talk specifically about the outcomes and the objectives. Measurable, tied back to the strategies, talk specifically about what is going to change -- the curriculum development. 5) Type exactly as they ask -- exact font, exact inch margins -- follow the specifications. There is a weeding out process which is about all of these crazy picky things. If you have a great grant in the world with too many pages -- they won't even read it. They won't even put it in the pile unless you can follow their directions exactly. 6) Be very clear about who is going to benefit. At the end of the day, it is always about the students. 7) Do not be a stranger to the Internet, learn all about them. Read about the members of their board.If they have certain funding priorities and they can see it reflected in your grant. 8) Use passionate comments from your teachers (and even students) -- quote them to appeal for your cause. Think about the things that you want to do for your school and district. Your challenge it to separate yourself from all of the other grants that flow through the doors and classrooms and make it so your grant lands in the hands of the funder. Make sure I catch your "bubble" -- your idea, your innovative concept -- that is the one I'll pull in and say that they are going to fund. As a grant writer, you have to be a gambler, to throw your dice and try. If you don't try, you'll never know if you could. She has almost written more than haven't been funded than have -- because you have to be gambler and take it and love the pain. You have to write a grant, submit it, not get funded, forget it and start again. She had some grants she's written three times -- she called and asked for comments -- she got funded the third time. Make sure everyone's voice is heard and that you rethink and rework to the point of nausea! You have to sometimes play the diplomat -- we've looked at the rubric they are going to score it by and we need more. The first time you start writing grants, the treasure chest is empty. Every professional journal that she reads, if there is a grant idea -- rip it out. (Like clipping coupons -- clip grant opportunities.) She has funding ideas all over her computer. Constantly be on the alert for things, because you never know when you're going to need it. Save those things in folders or a folder in her favorites. She goes back to those resources. New ways to keep doing what you've been doing. Research to support what you want to do. To do this and get a lot of money, you'll get a lot of rejections. It is about people -- one day they score it this way -- the next they score it another. Now it is 500 words for 500,000 -- be very concise and choose words carefully for maximum impact. Do a lot with the money they give you, do it well, stretch it. Don't put that we'll have "10 computers for 2000 each" -- get a quote, do it precisely. Show that you've done your homework. For most people it doesn't happen during the day. You CANNOT MISS A DEADLINE. Put the grants on your calendar due two weeks before and forget about the final deadline. You won't be done on time, and then you have a bit of time. Tell everyone else it is due 2 weeks early Aug 15 when due Aug 30 -- give yourself a two week pad. You cannot miss a deadline. During anthrax scare -- there was a major grant due that day and all DC post offices were shut down -- the gov't didn't care that it was in transit -- if you have to mail it in mail it early. You cannot miss a deadline. Persistence will pay off. If you write a grant and don't get it and then don't stop -- "Shame on You!" Keep submitting it, change the dates, rewrite it, change it. Do not stop when someone tells you "no." http://www.cpsb.org/Scripts/abshire/grants.asp - She maintains a grant website. http://www.schoolgrants.org -- A bring home the bacon listserv -- subscribe to it for $30 a year -- she highly recommends it. A community of collegial people who share things willingly -- some great people who share -- you can lurk and find out more than you ever dreamed of! You can post questions and ideas and within a few hours have many responses to the list serv. She has another regular e-mail address -- puts in another one and then she looks in that one every few days. This is what is going on in the country in grants. There is also an index to sample proposals -- people have sent in full blown huge grants that they have written here as well. You don't download and change the name -- you cannot get money that way -- but look at these for courage. It makes more sense when you look at these. Use the electronic resources that are out there. 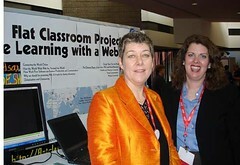 www.quinlan.com - $140 a year - Many school librarians subscribe to. b. Teachers need to be able to find something and say “hey” come over here. c. Researchers can publish to a wiki (only the approved researchers can edit) – but teachers and others are allowed to submit on discussion tabs. i. NETS needs tags for every standard and teachers taught how to use them. ii. For everything we do. iv. It needs to be part of being an educator to tag and contribute. 3) WE need to improve the coefficient of participation with what we do. iii. Give teachers money and let them select what software/ technology they want to integrate – start with a vendor presentation but then from then on have teachers present what they did – get teacher’s more involved in the purchase – let them pool money if they choose. iv. Teachers need to be made the customer – they are not – principals and IT administrators are. d. No teacher left behind! This was a phenomenal session. Edubloggercon was great but very homogeneous - this was great because it was industry, teachers, educational researchers, education organizational leaders, and administrators and was focusing on what to do to get practical research disseminated down to the classroom level. We need to intentionally bring together diverse stakeholders in education to work towards solution. This session was incredibly run -- it was beyond unbelievable. Dr. Robert McLaughlin needs to be continually involved in this sort of things in many organizations, he is incredible! I cannot say enough about this man, A+++ researcher/ pragmatist/ advocate for change. I am live blogging the first international leadership summit -- Mark Van 't Hooft has just talked about the priorities of making educational research relevant and understandable to teachers as well as creating effective opportunities for research on the newest technology. Whose in the room -- state, industry, R&D, foundations, international committee of ISTE, telelearning teachers -- leaders of national and international organizations and leaders in R&D and dissemination. How can we dramatically improve what fostering responsive learning technology development, Research, and Dissemination. Largely supply driven -- solutions being thrust into schools without sustained and valuable input from educators themselves withouth adequate professional development. The tools given aren't in response to their priorities. We believe that this conversation this morning is going to have very serious impacts for children and educators. Pragmatic recommendations that will be created and shared -- take the recommendations that we generate today about how can we begin to implement them in the 21 largest school systems -- the big 21 network. Staff development leaders of the 21 largest school systems. How can we put into practice things that are solutions to problems teachers have instead of telling teachers what to use? Just gave out a handout about the priorities of staff development of various organizations. "What we are doing for the most part in educational technology is wasting educators time. About 90% of investment in educational technology has been wasted. The supply driven approach is not working." Challenging companies and technology providers to demonstrate the research. Those who are good at technology aren't invited to discuss things. And those who aren't good at technology are afraid to speak up because they don't understand bits and bytes and RAM -- attempts to install "stuff" -- and teachers need to see themselves in those decisions. A small minority of people who are into this stuff. Most educators are just trying to cope. Most educators don't know of tech applications relevant to their priorities for improving teaching and student learning. Many tech coordinators aren't given a good knowledge base to draw upon to have technoogy applications -- tagged and cataloged by grade level and subject area -- that is professional malpractice -- that is not acceptable. Those who are knowledgeable in learning technology R&D to work more closely with professional organizations. Joke -- "A foolish question -- 'Can you hear me?'" But... where do educators priorities for imrpoving student learning results figure in. We are "off." How do we get those who are doing doctoral research excited about topics that relate to teacher priorities. We are doing a terrible job of connecting. We're not... but we need to... but we can. Too much info from too many sources. Topics I don't care about. Uses terminology I don't understand so I don't know I care about it (abstruse vocabulary - research-ese) - We're too smart, we can do better. It looks interesting but i don't see how I can use it. We're being driven by tenure and promotion and counting the frisbees that we fling out into the field and not caring if the frisbees are caught. Before the standards based performance movement was invaded by "body snatchers" -- assessment industry owns conversations that educators started -- like the math standards -- we don't own our conversation anymore. We've been complicit. We should be having educators talking with educators about what excellence looks like and how it needs to be fostered. We need to be cataloging best practices in learning technology. Our terms as professional educators to catalog our content. It is not hard, it just isn't happening. Not by what educators tell us they most need to know. Worked for a foundation -- threw out frisbees -- "Look how many I've thrown out there" but it wasn't driven by educator's agendas. With web surveys, we have all kinds of technologies to do great surveys to drive what we are doing like we've never had before. We can be driven much more by the needs and demands of educators and we're not having that conversation... but we can. Driven by educators' most pressing needs and demands to improve their practice and their students' learning. Educators aren't asking for everything they need because they don't know things and it is OK to have some supply driven however to ignore teacher needs is wrong. We've done it for our kids let's do it for ourselves -- let's start with what we want to learn about. Then the people who think technology is irrelevant might sit up and take notice. R&D, foundation levels -- corporate sector -- go back to those who are spending most of the dollars and say -- we need to look at "these priorities"
Focuses on creating, field testing and validating learning technologies keyed to these priorities -- teachers say "I don't have time for this" -- "I don't see the relevance of it." We will see better adoption if we focus on the relevance of it. Keyed to educators prority concerns for improving practice and student learning. So much great research is hidden in journals in arcane language. I want to share it with educators but there is a lot of translating that we need to do. We need to be non-territorial about dissemination -- go through professional organizations that have professional relationships with their organizations. Trust it and will listen to it. Comes through sources (eg. association publications) that are known and trusted. It will be likely to be used. Is organized using familiar frameworks and categories. Use the 12 standards for staff development -- like "learning communities" - they want tools that create effective learning communities. Note: This man is incredible. He needs to continue to be escalated in educational leadership to reach more researchers, PhD programs. We're getting ready to discuss - "What obstacles do developers of learning technologies face to contributing more effectively to a global knowledge base on technologies that improve students' learning opportnities, learning climate and/or learning results?" We are not friends with data -- we need to become friends with data. We don't like it because people use it to "beat us up." We're talking about data that we can use for our own practice. Everything is being driven by high stakes standardized testing. We ought to be looking at learning climate for ourselves and our kids. It has a profound impact. National Center for Student Aspirations did some research -- look at strong correlations between student aspirations and student achievements. Critical aspects of our learning climate and kids having high aspirations. Sense of belonging -- means they have a better learning climate. Do they feel the courage to take risks. Not only improve student results but improve student learning climate. Get kids involved in tech support for the school -- gives more pride to kids, they are a part, it improves the learning climate. Learning opportunities. Classic common mistake of high schools -- it is considered a benefit of the most senior teachers to not teach the "gatekeeper courses" Geometry and Algebra I when those are the most important courses that are most highly correlated with student success. We're putting rookie teachers there and need to be targeting our resources in ways that make sense. WE need to put the best in the places that we know are important. Talking abut how great the US navy has done for cataloging, standards, and performance assessments, automatically pointing every sailor to their area that they need to handle. Personalized instruction for every learner that is keyed to performance assessments -- Dr. McLaughlin is blown away by what they are doing. Do I take the red pill and start blogging my four pages of notes from Anthony Zotti's presentation today and my dinner with some amazing educators including Julie Lindsay, David Warlick, Jeff Whipple, and Chris Craft and the humbling experience of receiving the SIGTel Online learning award at the opening session? or do I take the blue pill and go to bed and see how far down the rabbit hole my dreams will go? Sorry, guys, this is a once in a year-time opportunity and I've got to focus on F2F for a bit -- blue pill wins. 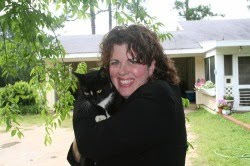 My blogger is acting up as are many of my add ins. I'll do my best to hand code this post, but oh what a pain! Today was like trying to cram a watermelon down the throat of a squirrel -- lots of sweet goodness and not enough room to hold it all! I will be writing about the things I have pondered from today for months and even years to come. Here are my major "take aways." -- perhaps bloggercon is a misnomer because we had podcasters and others there. However, the need for informal discussions and tackling of projects with those who have a certain knowledge base is something that should be harnessed and directed. I believe that educational organizations and lobbies should advocate mandatory digital citizenship courses for all early middle school students. We had discussions at the early morning session facilitated by Will Richardson and Chris Lehman about this. Please read the notes!! My dad was very active in another very misunderstood profession -- I believe more misunderstood and less respected than teachers -- farming. And he always said that when the farm bill came out that it was better for farmers to "pick their poison" than to have it picked for them. Internet safety requirements for schools is an inevitable fact -- the reason DOPA emerged is because educators have not proactively advocated an alternative. We discussed it, though and digital citizenship is much more than safety although safety is a component. It is something that all students need. And one way to get nothing from politicians is to go with a "laundry list" -- too many things -- pick one thing, get behind it, advocate it, and support it. It is time for some cooperation. What a sad state we are in -- Chris says that in his circles this is the quote in the "gotcha" one slip up and you're gone environment. I seem to recall that dictators like Stalin and Hitler were some of the few who got away with shooting a person for one slip up. Even in baseball you get three strikes. In football you get four downs. ONe strike and you're out? That type of mentality is a recipe for disaster because the whole process of teaching is about trial and error in the first place. This mentality needs to be pointed out and talked about because it is harming education and the ability of educators to innovate and make progress. If Thomas Edison can try 2000 ways to make the light bulb, I think we can let administrators and teachers make mistakes and learn from them. This was from the session on the future of schools and David Warlick did a beautiful job facilitating. It was exciting to see the vision that others have for what needs to happen. The desire is there, the willingness is there and there are some organizations that are doing it. We need to be looking at multicultural components as standard parts of all courses as appropriate. What opportunities we have with this one but it is going to need to be much wider scale than it is now. Julie and I are talking about standards for international projects and the group gave us some great feedback on this. After watching some of the other unconference masters, I think we'll run our session differently next time if we get an opportunity, but it was still a good one. This is a must-do, folks. We have got to standardize tagging so that we can find things, catalog things, share things, much more efficaciously than we do. We don't need to build new things, let's use what we have and simplify things for all of us in education. Let's teach teachers in education programs to use the standards in college and then continue them as part of being an educator. We can then aggregate, mashup and do things we can only imagine now! -- the world will become our database. It is beautiful that edubloggers, podcasters, photographers, educators can collaborate and work together -- it is also wonderful that such a diverse group of people can be allowed to have different opinions. It is great to converse and rejoice in our non-homogeneity because there was a bit of diversity in the discussions -- although there could always be more. But most of all it was nice to laugh and be human and realize that we're all here and want to do a good job, enjoy our family, and make a difference while we have a lease on life. We're not so different in that we want these things. And to laugh when David Warlick misread his watch (he got the hands mixed up) or Terry Freedman told us about his nickname in college (I'm not telling) or we told funny stories about typos on student papers or hilarious stories out of the random past or when I skyped Jeff Utecht, Julie Lindsay, and Steve Dembo when they were sitting beside me (just to show myself that I really was connecting with them.) -- we connected with others and realized that, although they may be hours away and even in a whole other date and time (literally) that we can have common passions to push forward this thing we love called education to pursue excellence in teaching and understanding. We have recovered an unsaved draft of this page, created ' + autosaveDate + '.
' + (autosaveVersion != version ? 'However, another person has edited this page since your last draft. If you continue, their changes will be overwritten. To view these changes, click here. our uber-organizer Steve Hargadon, the folks I've mentioned elsewhere in this post, and all of the other amazing attendees. It was enjoyable. But do not think that we solved the worlds problems, we didn't. But when you build relationships you work better together for the future. So, I'll share more tomorrow, for now, I'm pole vaulting into my bunk bed, tucking in under my covers, saying a quick prayer that I won't fall off and that I'll get all my presentations done and heading off to lala land! Goodnight! Just finished a great discussion with Steve Hargadon's session on School 2.0 (don't turn me out) -- but it was about what we need to do to build a mass repository of best practices and resources. The answer... don't build anything new but harness the power of something like delicious, etc. We need a database for links and database for matching common curricular needs/ time frames. It needs to be simple and have video tutorials or other information to help people get up to speed. OK, guys, it is going to take forever to get all of these things in. I am posting my raw notes here - - have also posted at the wiki where others will edit and correct. I'm so sorry that I didn't get everyone's name on there correctly. Guys, it was awesome -- it was awesome -- it was transformational -- we've got to have a plan for advocating digital citizenship and literacy or it will be done for us. When we go to politicians, it shouldn't be with a laundry list but with a proposal for what we should do. Enjoy the notes, guys, I'll make more sense of it later for you. Active Boards - Brian Crosby -- the use of active boards is changing his society. Turn lose in a car - we have a national cause. When you go to DC -- have one pitch. -- National Internet training. Importance of having one thing with a politician. Not a laundry list -- looking at it. How politicians are embracing web 2 - David Jakes -- they are beginning to see the power of blogging and educators -- we need to take advantage of their growing awareness -- Obama, John Edwards. Understand first hand the power of a tool. Chris Sessums - Dave Warlick -- when you talk about technology you scare half the room -- when you talk about literacy -- that is something that politicians understand -- literacy -- reading and writing. Will Richardson -- what is the definition of literacy. Should we redefine it. Chris Lehman - creating the 21st century workforce. I don't teach in a trade school. 21st century citizen. Digital citizenship. Saw a great term -- prosumer. Critical consumers of information. Seth Godin - prosumer. The nature of the way we deal with information is changing. Means -- necessary of understanding the computer. Walkthrough on literacy -- in faculty meeting - definition of literacy -- whole notion of literacy is begin able to participate in society and government. Knowledge doubling every 24 months -- knowledge doubling every 48 hours -- knowledge isn't doubling -- information is. Teach wisdom -- making sense -- Chris Lehman. It is the job of teachers. Wisdom. Sheryl Nussbaum-Beach -- look at teacher competencies -- what do they need to be? David Jakes -- 2.0 environment - politicians -- our energies are taken in stopping bad bills. Get over the fear factor. Is it because we haven't submitted a positive bill? Alfred thompson - Not understood as a two way communication -- only a way to get a message out -- not to get it in? Boston -- citiwide internet safety education program. David -- how scared are we that students aren't going to have the skills? Connect to deeply held values -- held to deeply held forces. *** Person across - truly scary stories -- 1% of a percent. Know the other side, we'll be more able to provide our "own poison" -- We cannot candy coat it. Literacy/ Safety -- National Internet Literacy -- Chris - should we call it Literacy or Safety. What is the worst consequence to your best idea. Responsible, ethical, safe use. Digital citizenship. Chris is quoting Paul Allison -- these are the tools that kids have to use. We are doing a disservice not teaching them how to use them responsibly and well. If schools don't adapt to deal with it. Intellectual freedom. Librarians are the only ones who have fought for intellectual freedom for children. Technologists should take up. ISTE -- Children have rights to a diverse opinion. Steve -- blocking. School policies. Chris -- so many policies are creating gotcha moments -- negative environment for school systems -- everyone is capable of being fired If you're not ready to lose your job, you're not ready to do your job. Cannot let fear of what can go wrong stop us from doing what is right. We are living in this moment -- spin it as negatively as possible and put it on the local tabloid. Policy issues -- cell phones, ipods. Positive uses of ipods -- ISTE Board. Give kids a voice. See you at NECC: there or virtually! [Jott from Vicki Davis] Vicki Davis.